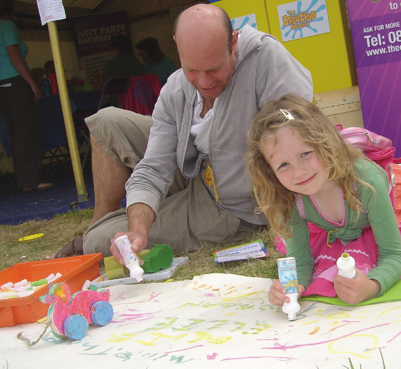 Whether it's "Big Art" or "Slime Stations" the children are engaged and entertained in The Creation Station tent. Since 2002 The Creation Station has been providing the UK with award-winning creative fun. Our festivals and events packages can come pre-made to suit the size of your festival or made bespoke to you and your guests. From over seventeen years of experience, we can tailor our know-how and experience to inspire kids and families. We know what works and what doesn't! We're happy to be on hand and advise when it comes to the next big craze too. With our outstanding network of session leaders, we can provide entertainment at any location throughout the UK, for any number of guests. 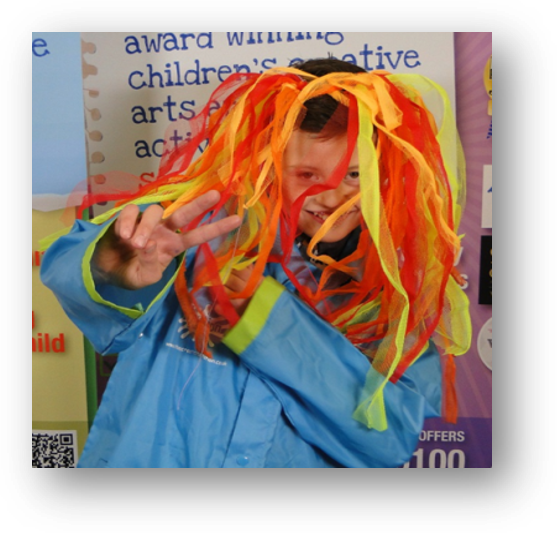 We even provided the London Olympics with their KidsZone back in 2012 - it was amazing! We LOVED it! If you'd like to see what we got up there click here for our video. Whether you're looking for festival fun that's wearable, superhero masks, slime or robotics, we have something for everyone! If you'd like to know more and find out what we could do for you, email Sophie, here, and she'll be happy to help. Or if you'd like to be inspired by our newsletter, sign up here for fortnightly updates from the UK's leading creativity provider.